The space is furnished with twenty-five Herman Miller Everywhere Tables on casters that fold up for storing. 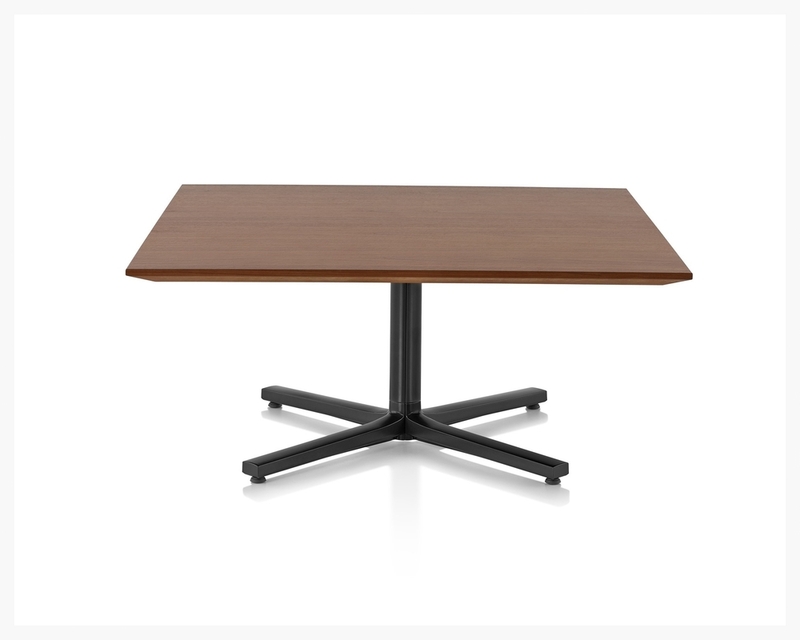 At 60 inches wide and 30 inches deep, each table can seat 2 students comfortably and are easily combined into any number of configurations that allow groups of varying sizes to work together. On the second floor, you will find five standard Everywhere Tables on gliders. 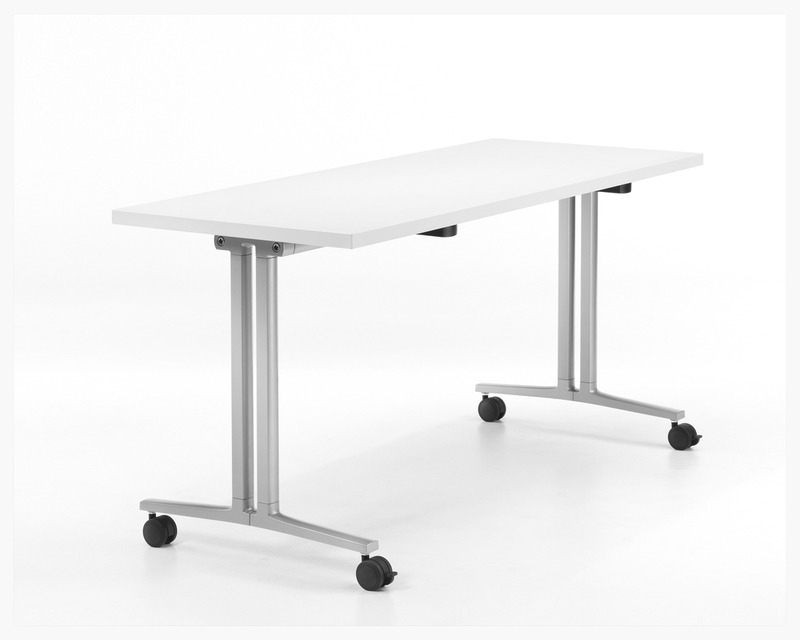 These tables have white tops and silver bases (unlike the picture), measure 42 inches square, and can seat 4 students comfortably. 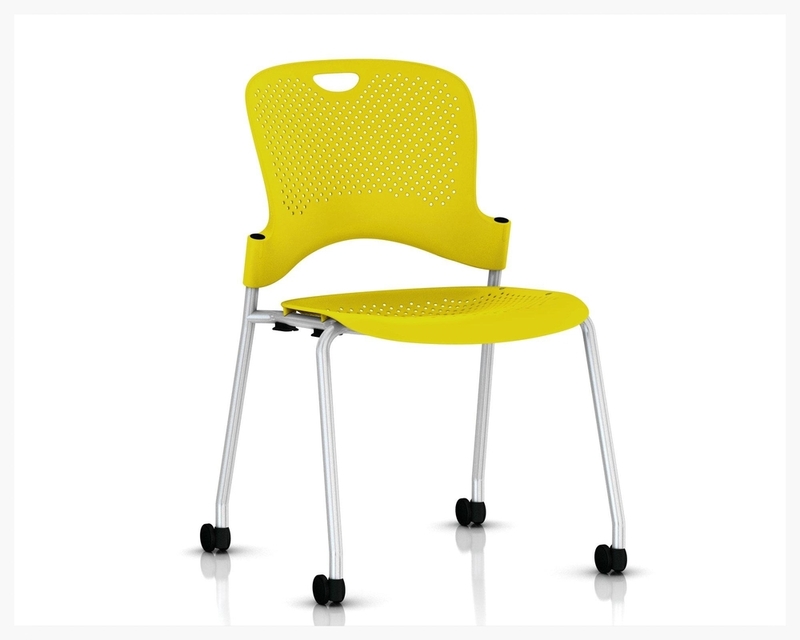 Students can move throughout the room with ease in one of our fifty armless Herman Miller Caper Chairs in either gray or yellow. Thirty Eames Ganging Side Chairs are also available. These can be used at the square tables upstairs, at any of the flip-top tables, or attached together in rows for larger events. Finally, you are free to use any of the fourteen easily movable ottomans (in teal and yellow) that are currently being used as seating on the first and second floor. The space is equipped with ten Herman Miller mobile white boards (2 large; 8 small). Each board is dual-sided, magnetic, and equipped with two clips/hooks along the top railings of each side for hanging pads of paper. Resting on four lockable casters, each board measures 2'-deep and 6.5' tall. The two larger boards are 5'-wide and the eight smaller boards are 2.5'-wide. Each board also includes a large laminate shelf for resting water, papers, laptops, and/or other personal items.